James facilitates multi-gendered circles to explore the Healthy Masculine, providing an opportunity for people of all genders to share, be seen, and to offer each other witnessing and learning. Participants explore the many meanings of "the Healthy Masculine" and honour one another's experiences in order to harness a positive masculine presence in our families, friendships, and communities. Healthy Masculine circles are rooted in sharing, deep listening, and skillful reflection. James facilitates circles to explore the Healthy Masculine, providing an opportunity for people of all genders to share, be seen, and to offer each other witnessing and learning. Participants explore the many meanings of "the Healthy Masculine" and honour one another's experiences in order to harness a positive masculine presence in our families, friendships, and communities. I have witnessed plenty of destructive immature masculine energy in my life, international politics, and my community development career; it is time to call in, remember, and co-mentor what the Healthy Masculine provides in our society. I hold a non-gendered conversation about "masculinity", recognizing that "masculine" qualities are embodied by all genders. It is not a "male vs. female" conversation, but one that explores the masculine aspects of being human. These circles contribute to a cultural shift away from "right/wrong" or "good/bad" ways of 'acting' masculine, towards a balanced way of being, moving into a more authentic, emotionally-connected and life-affirming masculine consciousness. By exploring and understanding how the immature / adolescent masculine – or the shadow side(s) of masculinity – show up in ourselves (and are often promoted in current societies), we can bring a balanced awareness to practice and integrate the healthy (or mature) sides of the masculine archetypes: Sovereign, Warrior, Magician, Lover. Once there, a deeper dive begins, as we contemplate what the Healthy Masculine awakens in the Healthy Feminine. These circles are not simply serving the masculine, they are supporting a reciprocal and nourishing relationship with the feminine. Centring around short summary readings and the "Map" from "The Four Archetypes of the Mature Masculine"
There are other archetype models, naming these 4 allows us to anchor the sharing circle as a starting point. 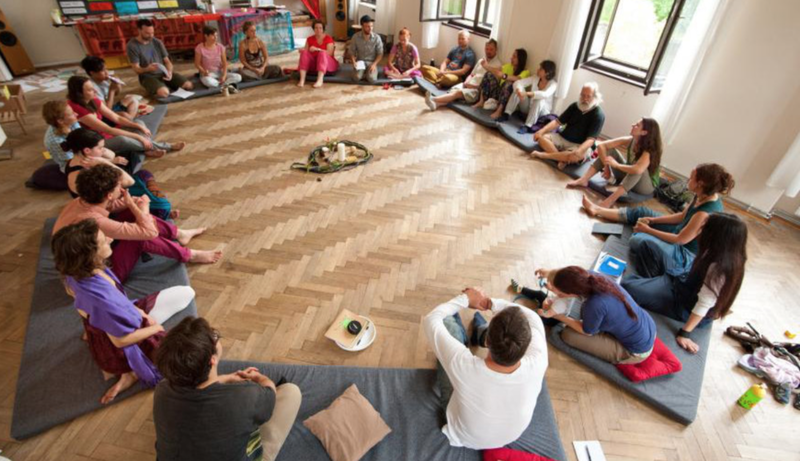 As Council Circle sharing is based on participants' own experiences and heart centered explorations – in a safe held format where vulnerability and trust are built into the structure – these Councils are not for offering advice, nor are they intended to be therapy; rather, they provide an opportunity to come together in community to witness, appreciate, and explore with one another the Healthy Masculine. Improve positive presence in families, friendships & communities. Be willing to participate with fierce loving kindness for themselves and others. Begin a reciprocal nourishing relationship with the feminine — within a rare all-gender circle experience. There are many ways we can support each other's wellbeing via monetary/non-monetary value, in both the short- and long-term. Additional contributions are gratefully accepted if you feel called to financially support James' offering of ongoing Healthy Masculine circles.